Trump initially caused consternation in Beijing by flirting with Taiwan, calling into question US support for the One China policy. WASHINGTON: China's top diplomat wrapped up his first set of meetings in President Donald Trump's Washington today satisfied that no breakdown in ties is imminent. The newly elected US president initially caused consternation in Beijing by flirting with Taiwan, calling into question US support for the One China policy and threatening a trade war. 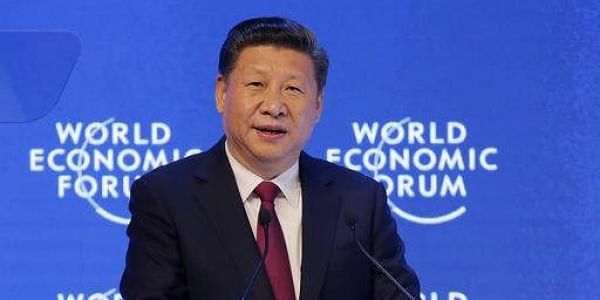 But he has since walked back his comments on One China, and Washington and Beijing are in talks about a Trump visit to build ties with Chinese leader Xi Jinping. Both the State Department and the Chinese embassy said State Councilor Yang Jiechi, China's top foreign affairs official, had had a successful visit. He was greeted by Trump yesterday after talks with senior White House officials and sat down with Secretary of State Rex Tillerson today. Afterwards, the Chinese embassy issued a statement saying Tillerson had expressed a willingness to set a "positive tone" in relations between the two powers. And it said China is willing to join the United States in upholding the principle of "non-conflict and mutual respect" in relation to each other's "core interests." State Department spokesman Mark Toner said Yang had invited Tillerson to visit Beijing and that the US envoy hoped to take him up "in the near future." The pair "discussed the importance of improving and maintaining a mutually beneficial economic relationship between the two largest economies in the world." Toner said Tillerson also raised US concerns about North Korea. Washington hopes Beijing will help it rein in Pyongyang's nuclear weapons programme.